Valley Auto Loans has quickly become one of the most popular auto loan providers in the United States. They announced recently that they have updated their FAQ section, to answer any of their visitor’s questions about the well-known business. Valley Auto Loans specializes in getting nearly 100% of their applicants approved for high quality auto loans. Applicants with any kind of credit score can be approved instantly. Where many other loan providers are out to fatten their wallets, Valley Auto Loans has proved that they fight for the best policies and agreements for each individual client that applies. Valley Auto Loans also offers free professional financial advise through their blog. This blog provides essential information on all financial topics, which would cost hundreds of dollars from a financial counselor. 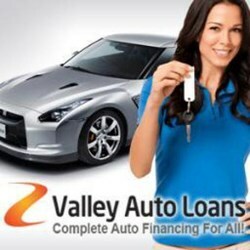 Anyone in need of professional financial help, an auto loan, or other services can find what they are looking for at http://valleyautoloan.com/.